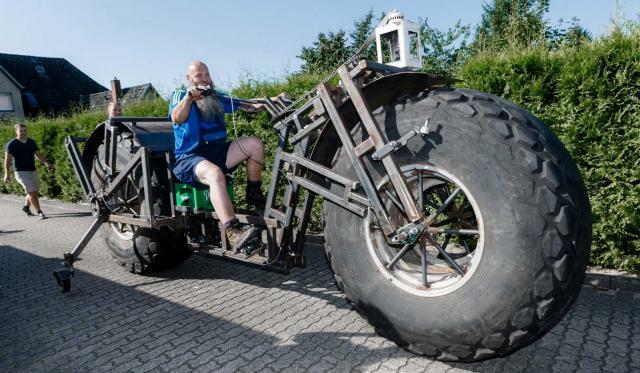 BERLIN (AP) — Using giant tires from an industrial fertilizer spreader and scrap steel, a German man has built a bicycle weighing 940 kilograms (2,072 pounds) that he plans to pedal into the record books as the world's heaviest rideable bike. Frank Dose's bike already outweighs the current Guinness World Record holder's 860-kilogram (1,900-pound) contraption. But the dpa news agency reported Monday that Dose plans to add weight to boost his creation to 1,200 kilograms (2,646 pounds) before attempting the 200-meter (656-foot) ride Saturday. 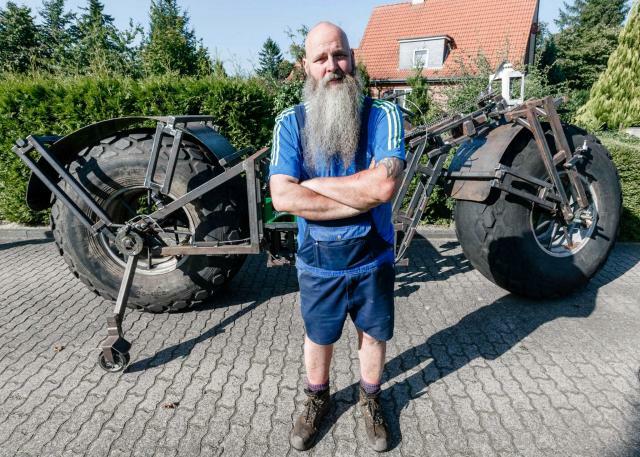 "I want (the weight) to be four digits," the 49-year-old from Schleswig-Holstein told dpa. 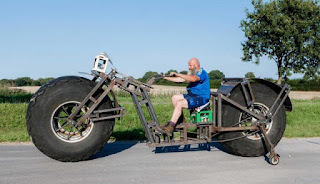 Dose has been building his bike since March. It sports tires that are 1.53 meters (5 feet) in diameter. It's reportedly proved surprisingly easy to ride. "It's a sensational bike," says his wife, Astrid.